WOW! we had some amazing entries last month Thank you so much for taking the time to enter. So glad the winner is chosen by random thingy, I still have to choose the Top 3 tho...lol! Huge congratulations hun, email me on shell-swinscoe@virgnmedia.com with N&A winner in the subject bar & I will sort out your winner badge & forward you details on so you can claim your £15 voucher. Huge congrats ladies, please email me on shell-swinscoe@virginmedia.com with N&A Top 3, in the subject bar & I will get your badges out to you asap! so get out your kraft card stock & join in with us. We are still rather short on DT this month, so I'm really sorry if we don't get around to commenting on your creations! 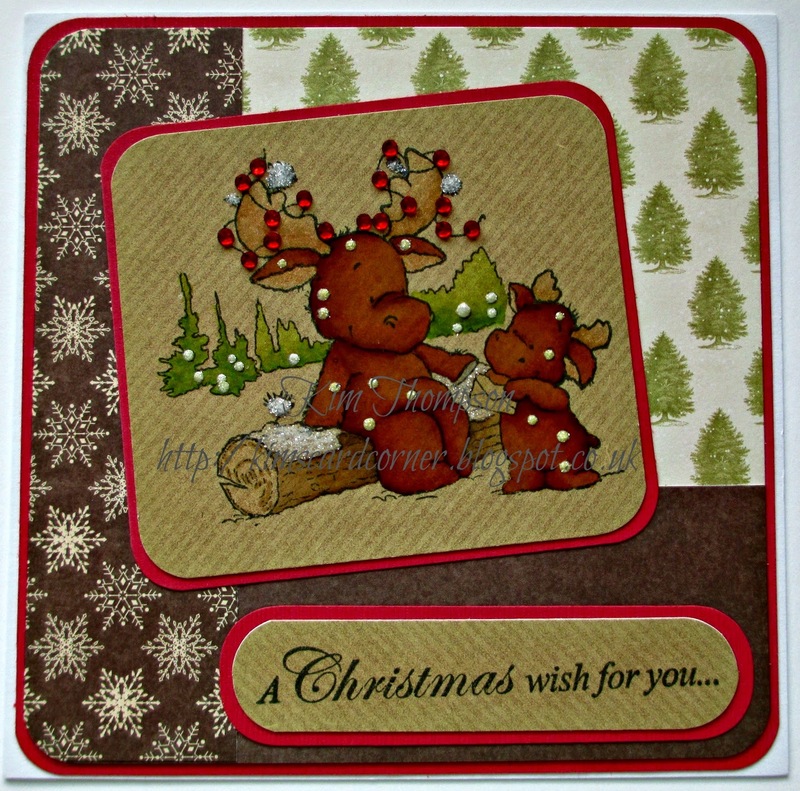 In the Wild from Stamp It Australia and First Editions summer breeze paper. You have until Wednesday 29th October at 6pm UK time to get your entries in using the blue linky below. Love love love the images you guys used!! Fantastic creations!! I LOVE coloring on Kraft! I think it can look really awesome!! Gorgeous coloring from everyone!! Love Kim's brilliant coloring! Thanks for another fun challenge!